You are born to be WILDly creative. There is a boundless creative intelligence residing within each of us. What if you could truly speak your heart’s truth and in so doing transform your life? What if by speaking your story out loud, you give permission to others to speak their truth and live out loud? We believe we are all artists. We believe we all have unique and brilliant stories churning within us. Kauai Retreats was born of the desire to provide a nurturing space where everyone can experience the transformative power of speaking their truth on the page, stage, and in life. We see how our stories can define us even when we don’t hear them; but we recognize that by learning how to tell our own story, we not only learn to craft our experience into a compelling narrative, we also unleash a sense of purpose we never imagined possible. We believe the tools of writing, movement and experiential exercises serve as a foundation that when used in a safe space, allow us to dig deep and release our stories and give them voice to freedom. We want this freedom to be accessible to all. Any person who has ever wanted to expand their range, write a memoir, speak their truth, let go of an old story, do a TED Talk, have a solo performance, generally play big, tell a new tale, or just find your own voice for life - Kauai Retreats was created for you. We want to cultivate a supportive, loving community of like-minded souls looking to be renewed by nature and inner wisdom. We want to build our senses of compassion - toward ourselves and each other. Our goal is for you to discover the full gift of YOU - a living, creative being. Ann Randolph, beloved teacher and award-winning writer-performer brings her signature style of workshops to the island of Kauai, with a new collaborative twist. Each retreat is co-taught by Ann as well as another master teacher in their own field, to combine their styles and offerings of teaching to create one-of-a-kind retreat experiences on the island's gorgeous North Shore. The aim of each retreat is achieve integration of Body + Mind + Spirit. Ann's extensive work as a workshop facilitator has shown her that Play is the Way when attempting to access and release the stories we hold inside. With that in mind, every retreat combines personal writing and embodied expression. Writing narratives of your life and Speaking your truths out loud is powerful. Combining those elements with that of movement can be even more powerful. Our bodies are our home, they capture the memories we may forget or wish we could. When we are willing to embody creative expression and give it a physical avenue for release, we embolden ourselves in ways we may have never thought possible. Imagine..
What if your body talked? What would it say? What if your body had the courage to speak the story you are most afraid to tell?  Ann Randolph's Kauai Retreats are a safe space where you can allow all sensations, feelings, and their connected stories to be expressed. Here you can release your stories in a supportive, nurturing, space and possibly see the ways they no longer serve your sense of self. This process of discovery, release, and transformation works so that by the end of the workshop you find yourself saying - I am my stories, but I am no longer controlled by my stories. They are parts of me; they no longer need to define all of me. Our vision is to bring the creative arts and movement into unity; for you to gain new understanding and realization of your own potential as a living, creative being. Kauai is the perfect location - this loving, nourishing island surrounds us with the life-giving spirit of nature, supporting every exploration of ourselves. Over the last 6 years, Ann Randolph has witnessed the magic of Kauai at work in her once-annual retreats, and now the experience is expanded to include more teachers, more styles, more play, and ultimately more transformation. Everything from yoga, dance, meditation, and visual arts are offered as Ann invites teachers and colleagues to bring their own wisdom and gifts, teach with her, and share with you. Listen to heart's desire and choose the content focus that most speaks to you. Unleash a sense of purpose in your own life you never thought possible.